After our trip to Barentsberg a couple days previously, yesterday we went to Pyramiden, named after the Pyramid-shaped mountain above the town. Like Barentsberg, this is a Russian coal-mining settlement. 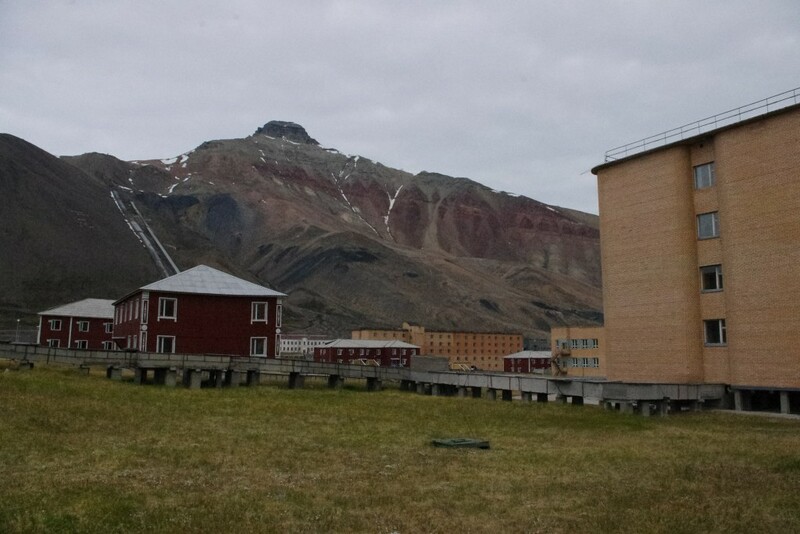 Unlike Barentsberg, however, Pyramiden is a ghost town. Or almost a ghost town. The mine closed in 1997. Under the Svalbard Treaty, if a settlement is abandoned for 10 years, the country responsible has to remove all trace of the town and return the area to its natural state. In early 2007 – 9 years and 10 months after the town had been abandoned – the Russian government decided it was cheaper to pay for 2 people to stay there, repairing buildings, than removing all trace of a town for over 1000 people and the associated mine. Today, the population has increased to 8. 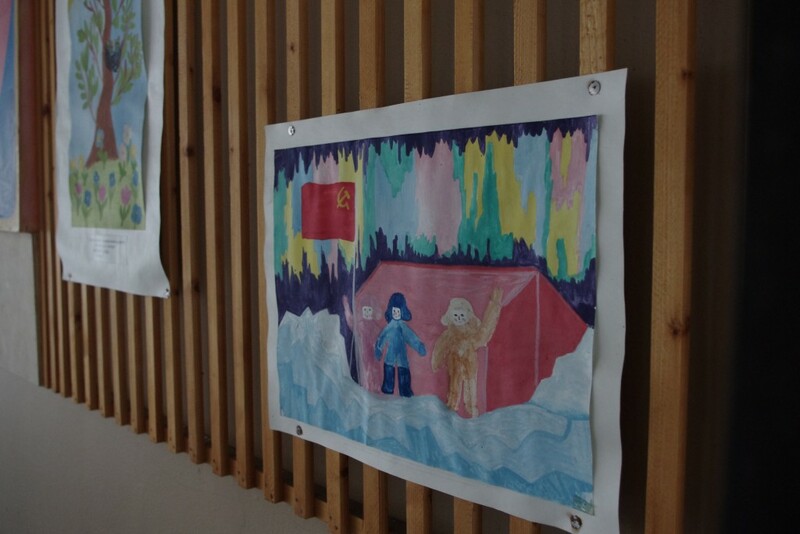 They get all their supplies from Barentsberg and, apart from one square metre on the harbour where there’s mobile telephone coverage from Longyearbyen, the only communication is by letter twice a month or satellite phone for emergencies. Nevertheless, to all intents and purposes, this is a ghost town, and a fascinating relic of a remote outpost of the Soviet Union. Recent polar bear visits to the town meant that we weren’t free to explore; we had to travel as a group with our guide, rifle in hand, just in case. Even the ‘r’ of the town’s name ‘Pyramiden’ is missing on this sign. 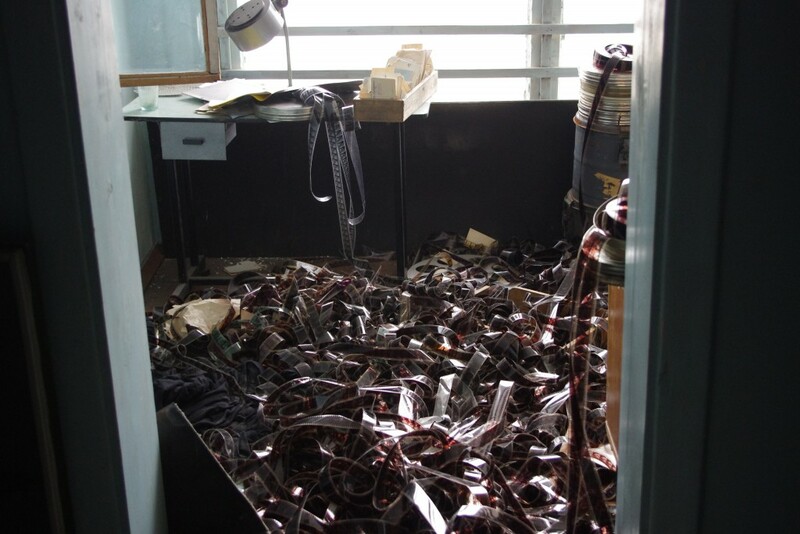 Film abandoned on the floor in the Cultural Centre, which was also the town’s cinema. 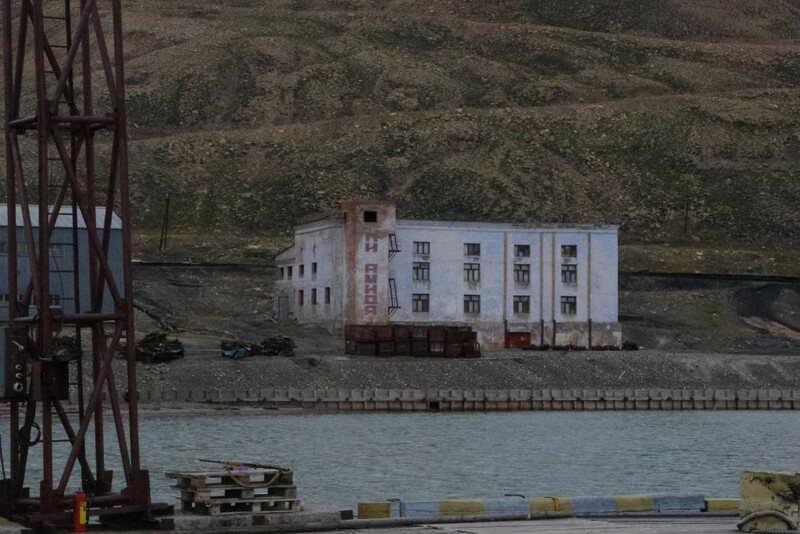 The main street in Pyramiden, called ’60th Anniversary of the October Revolution Street’, looking towards the Cultural Centre and statue of Lenin. 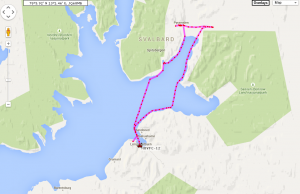 Our boat’s route to Pyramiden. Again, the track that appears to be on land is because the glacier has receded, so the map is out-of-date. For anyone wishing to do this trip themselves, this excursion was organised by Spitsbergen Travel and comes highly recommended. The guides are excellent. 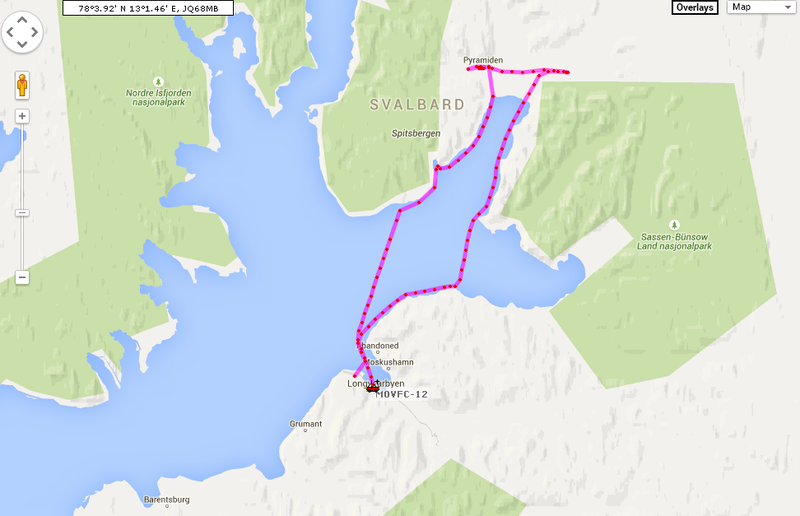 If you’re wondering whether to do both Barentsberg and Pyramiden, I’d say emphatically, yes. The towns might both be Russian, but that’s where the similarities end. 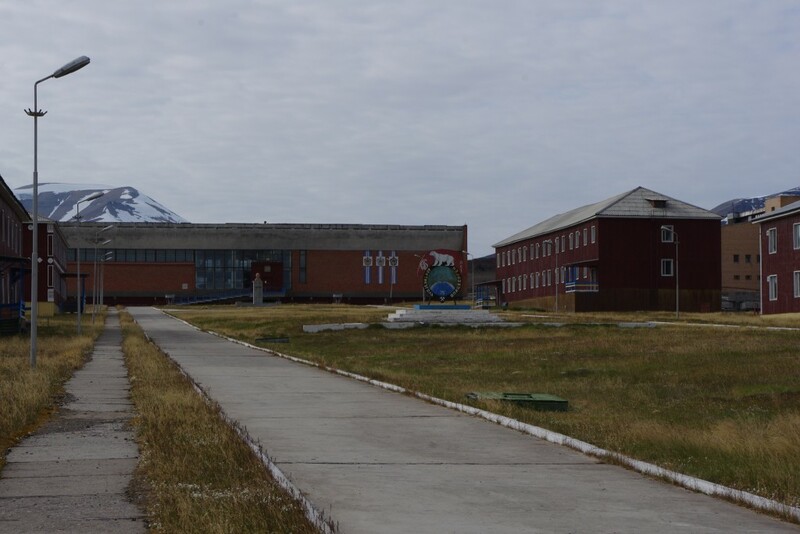 I found Pyramiden felt more comfortable as its ghost town nature is explicable with the collapse of mining after the fall of the USSR, unlike Barentsberg which just feels out of place.